Pestana Hotel Group has opened a new property in the Portuguese city of Lisbon, in partnership with footballer Cristiano Ronaldo. The new hotel will be the second property from the CR7 brand, Ronaldo’s collaboration with Pestana, following the launch of its first hotel in Funchal, Madeira earlier this year. Pestana CR7 Lisboa in located in the heart of the Baixa, a short walk from Terreiro do Paço. 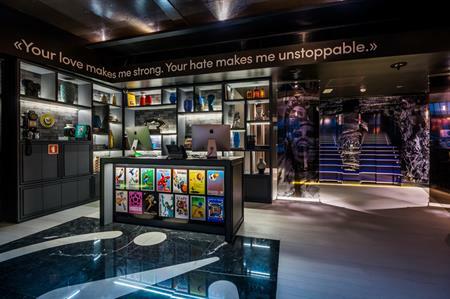 Featuring 82 rooms, the hotel offers guests a ‘CR7 experience’, which includes animated screens projecting the sounds of cheering fans in a football stadium. In the rooms, the world of sports continues with a detailed sequence of seven footsteps on the carpets to replicate the real sprint of Ronaldo. All rooms are equipped with high-speed internet, Apple TV, Bluetooth audio, HDMI connections and LED lighting in the showers. In addition to all the facilities of the CR rooms, the CR7 Suite will include a Playstation 4 and Virtual Reality Glasses from September. Guests are also provided with wi-fi to go, allowing them to stay connected both inside and outside the hotel. The hotel has also introduced ‘Ambassadors at Pestana CR7’, a team to design customised experiences for groups. Visitors can dine in the CR7 Corner Bar & Bistro which offers a menu of Portuguese dishes as well as classic favourites.